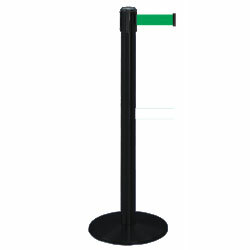 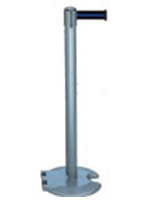 These stanchions with retractable green belt make excellent crowd control fixtures with their strong metal fabrication and sturdy round base. 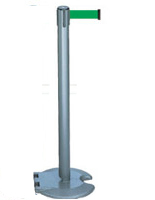 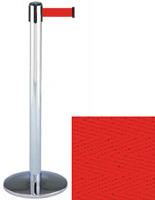 This type of pole can form service lines for retail stores, separate dining areas in restaurants and direct patrons at event venues. 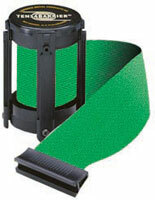 Each of the stanchions with green belt has a 4-way adapter on top for connecting up to 3 other nylon straps. 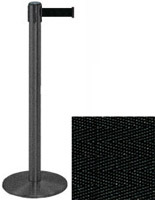 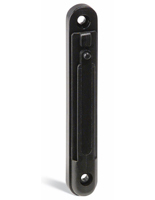 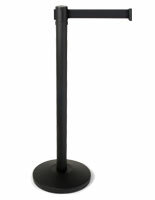 The crowd control posts feature a neutral satin black finish that will match any environment. 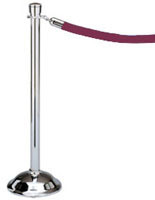 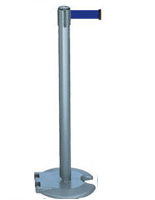 The stanchions come with a 13' long nylon tape while the stands themselves measure 38" tall.